Begin planning for harvest when the flowers ripen, between six and eight weeks after the beginning of flowering. Plants and varieties differ in maturation pattern. Some mature all at once, so that the whole plant can be picked. Other varieties mature from the top down, or alternately, from the outside in. For these varieties, the buds on the outside mature faster than inner buds hidden from the light. Once the outer buds are harvested, the inner branches are exposed to light and quickly ripen. 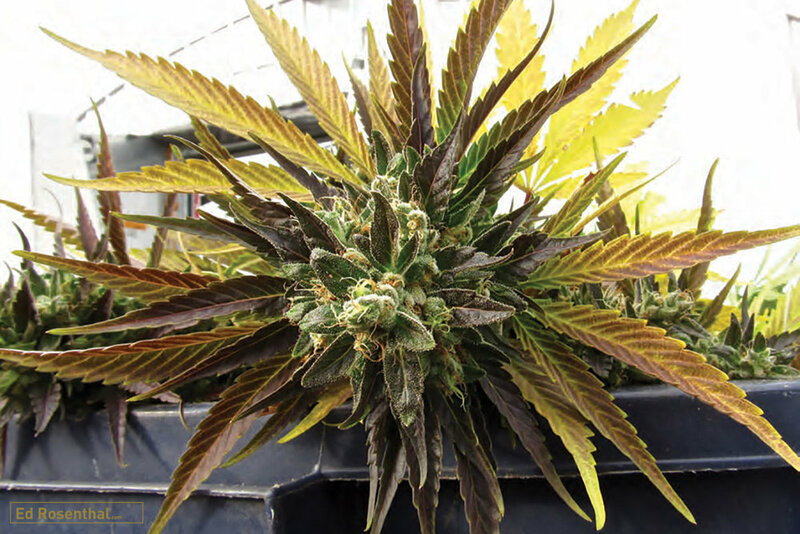 It can take two weeks of choosing mature buds before the plant is totally picked. Picking the plant a little at a time ensures that every bud is at maximum potency and quality. A plant’s flowering cycle, and its ripening and harvesting-time, are variety specific. Each variety is programmed to respond to a critical period of darkness that turns growth from vegetative to flowering. Indoors, this is accomplished when the lights are cut back to twelve hours. Outdoors, the critical time period varies between about nine and eleven hours of darkness. HPS lamps produce an amber light that makes it difficult to examine marijuana plants in the garden. Method Seven lenses filter the light and correct it for better vision. In addition to genetics, flowering time is also affected by light intensity and total light received on a daily basis, ambient temperature and nutrients. same time. Clones from a single plant grown under the same conditions flower and ripen at the same time. Flowering time is determined by the light regimen, not a plant’s age or size. When all the buds on small plants get direct sun, they tend to ripen at the same time. Buds on large plants that are directly lit, whether on the top of the plant or the sides, mostly ripen at the same time. Outdoors, big plants grown with large spaces between them will often get light from three different sides as the sun moves around them, specifically from the east, west and south. This light pattern is especially prevalent in the fall when the sun is at an acute angle and lower on the horizon. On large colas, outer buds often ripen while the inner buds are deprived of direct sunlight. A swollen calyx is one indication of ripeness. Here are two examples. This is a false seedpod; the flower has not been fertilized and no seeds develop. Trichomes are the stalk-like resin glands that contain the active compounds, which grow on the leaves surrounding the flowers. The flower area becomes covered with resin glands over time. The length of this stage of growth usually lasts two to three weeks; in modern varieties these glands ripen in seven to nine weeks from flower initiation. Late-season and long-maturing varieties usually spend about three to five weeks in this period of heavy trichome growth. As flowers near ripeness, their caps swell with resin and the trichomes become more prominent and stand erect. The viscous, sticky liquid that accumulates contains terpenes and cannabinoids, which are produced on the inside membrane of the trichome cap. As the resin accumulates in the cap, the flower odor becomes more intense. The odor reaches its peak at the same time the trichomes begin to fluoresce in the light, twinkling like little crystals. In some varieties, the trichomes are so prominent that the whole bud sparkles. Using a magnifying glass, a photographer’s loupe or a microscope, monitor the buds’ progression to the peak of ripeness by watching the resin in the gland tops. Under magnification, you can see individual glands turning from clear to amber or a cloudy white. These colors indicate that THC is beginning to degrade into two other cannabinoids, cannabicyclol (CBL) and cannabinol (CBN), which are not nearly as psychotropic as THC. When the trichomes begin to change from clear to amber or cloudy white, the buds should be harvested—this is the peak moment. Bulbous trichomes have no stalk and are much smaller than the other trichomes. They appear mostly on leaves rather than in the bud area, especially during vegetative growth, and contain cannabinoids. These trichomes do not contain cannabinoids. They grow on the bottom of the leaves to deter pests. These trichomes appear during the vegetative growth stage and produce only small amounts of cannabinoids. These trichomes are the most abundant and contain the desired cannabinoids, terpenoids and flavonoids that growers seek. Ripe cannabis reeks of pungent terpenes and each day brings increased intensity of odor. Rub the leaves surrounding the bud between clean fingers and inhale. This releases aroma molecules while leaving fingers sticky with resin. Inhale and smell an exotic medley of familiar and unusual odors that may range from sweet to acrid with outlying musks and skunks.